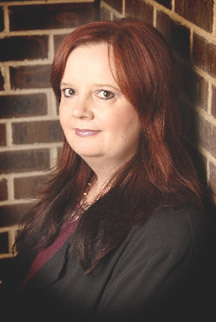 Cheryl Kaye Tardif is a Canadian suspense author who enthusiastically tackles sensitive questions and terrifying scenarios that most people don’t like to even think about. From psychic investigators, abuse in the foster care system, serial killers, fountain of youth serums, nanotechnology, conspiracies, bullying, racism, assisted suicide, child abductions, sexual assault, alcoholism, drug addiction, mind control and more, she delves into the human psyche and picks at our worst fears. She is now working on Divine Justice, the second in the Divine mystery series, and she is working on a nonfiction book for parents who are grieving the loss of a child. News Update:Cheryl recently signed with a respected New York literary agency. Born in Vancouver, BC, Canada, Cheryl Kaye Tardif was a "military brat" and a "military wife" who has lived all across Canada and in Bermuda. She now resides in Edmonton, Alberta, with her husband Marc, her daughter Jessica and the family dog. “Ouija” in Silver Moon Magazine, October 2005.